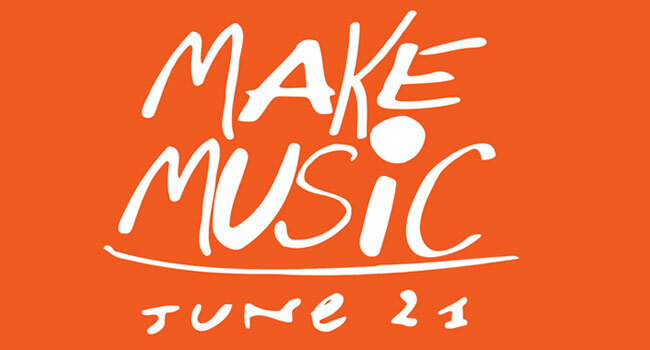 Make Music Day, the annual global celebration of music occurring on the summer solstice, returns this year on Friday, June 21st with over 5,000 free outdoor concerts, music lessons, jam sessions and other magnificent music-making events being held in more than 80 U.S. cities. A worldwide phenomenon observed by hundreds of millions of people in more than 1,000 cities in 120 countries, the daylong musical free-for-all on June 21st brings musicians of all ages, backgrounds and skill levels together to make, enjoy, perform, teach and learn music. Among the U.S. cities hosting major celebrations are New York City, Los Angeles, Chicago, Boston, Buffalo, Hartford, Madison, Miami, Nashville, Phoenix, Salem (OR) and San Jose – as well as the entire state of Vermont. Additionally, as part of the celebration, iconic buildings and landmarks in participating U.S. cities will glow orange for Make Music Day. Completely different from a typical music festival, Make Music Day celebrates and promotes the natural music maker in all of us, regardless of ability. Re-imagining their cities and towns as stages, every kind of musician – young and old, amateur and professional, of every musical persuasion – pours onto streets, parks, plazas, porches, rooftops, gardens and other public spaces to celebrate, create and share their music with friends, neighbors, and strangers. It costs how much to book your favorite band?